It seems like home networking issues are something that pretty much everyone faces these days; despite there being a flood of devices which aim to solve our Wi-Fi woes. Recently I decided to opt for a UniFi setup over typical mesh system. And after living with the setup for a few months now, the verdict is in; it’s safe to say that adopting Ubiquiti gear into your home is a must for tech enthusiasts or anyone who needs break-neck performance. Head below for an in-depth guide on how you can upgrade your home network by getting started with UniFi. Right off the bat, you may be wondering what benefits getting started with a UniFi setup offers? Especially when compared to other high-end systems. One of the biggest selling points is the level of control that the suite of products offer. In the prosumer space, you won’t find an ecosystem that is as feature-packed as UniFi while still being accessible. It’s also versatile, as there are plenty of different ways to configure the network. Whether you want a mesh setup or just need a single, long-range access point, there’s a series of components available that will fit the bill. Lastly, upgradability enters as yet another notable perk of going the Ubiquiti route. So if you make the switch to a Gigabit internet plan, you can opt for a more capable access point rather than entirely replacing the setup. 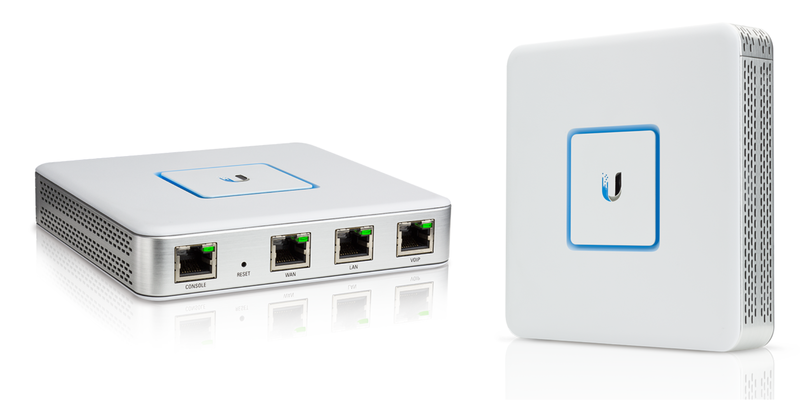 The two core pieces of hardware you’ll need for getting started with UniFi are a router and access point. 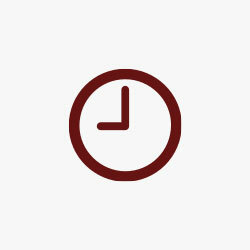 Routers handle network traffic, assign IP address to connected devices and more. You can effectively think of it as the brains of your setup, as it handles the heavy lifting of ensuring clients stay connected. Then there’s access point, which connect to the router in order to create a wireless signal for your devices to connect to. Typical consumer Wi-Fi gear combines both of these devices into one. Ubiquiti’s upcoming Dream Machine takes a similar approach to this. But with the bulk of UniFi devices, you’ll be able to mix and match various components to build a setup that fits your needs. 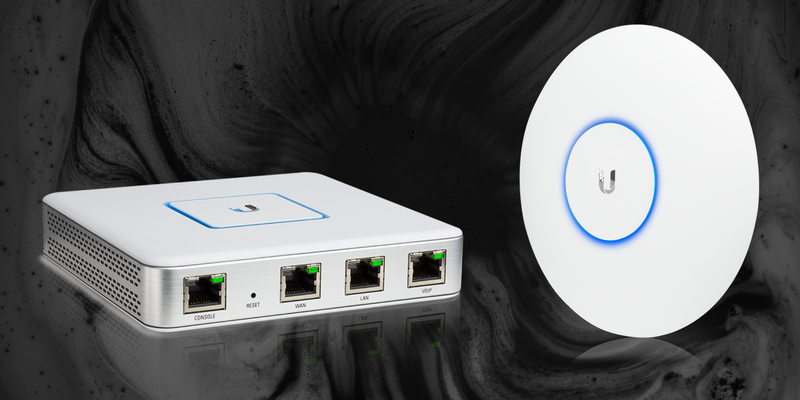 For pretty much any home network, Ubiquiti’s $130 UniFi Security Gateway is the ultimate option for getting started. It offers up to 3Gbps network throughput, support for up to 200 individual clients and plenty of other features. The Security Gateway works with UniFi’s Network Manager, which allows you to configure everything from basic Wi-Fi settings to individual client preferences. Plus, it gives you a thorough breakdown of network traffic. I’ve personally been relying on the UniFi Security Gateway for three months now. So far I have nothing but good things to say about its overall performance and reliability, as it has proved to be a fantastic option for getting started with UniFi. For additional performance, Ubiquiti also offers the UniFi Security Gateway Pro as well as the UniFi XG Gateway. Both options include notably enhancements to the standard gateway, but with a significantly higher cost. Finally, you’ll need to choose an access point. A solid place to look for getting started is the AC Lite, an entirely-level option that sells for $80. Even at a lower-end price point, it still touts 802.11ac connectivity, up to 1100Mbps network speeds and more. There are also plenty of other access points available, from mesh-focused and high-bandwidth to long range and more. 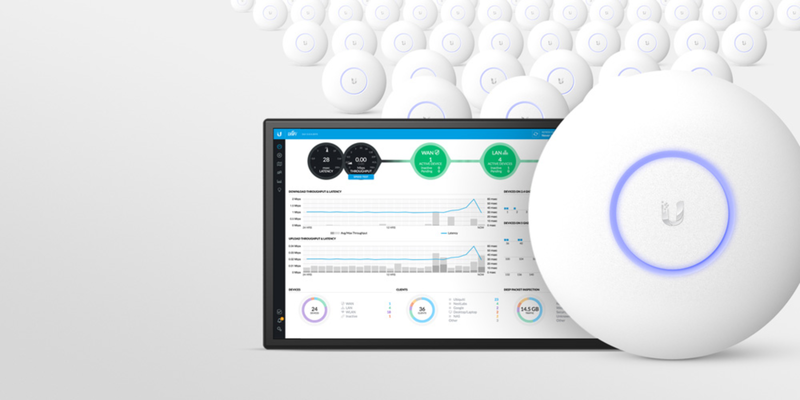 Another thing you’ll need for getting started is the UniFi Controller, a piece of free software that allows you to manage the entire network setup. For your initial setup, it isn’t crucial that the software is running 24/7, just when you’re looking to make changes to the network. Another perk of the UniFi Controller software is that it allows you to remotely access the network. This requires an always-on solution, but thankfully the client can run on a variety of different devices from an old computer to a Raspberry Pi. There’s also Ubiquiti’s own solution, the UniFi Cloud Key which integrates nicely into the ecosystem. Pairing all of this gear together is a solid way to get started overhauling your home’s Wi-Fi network.